Bikini blogger Charlotte Carlton is out and about! So after a mad two weeks I have finally found time for some well earned relaxation. After new job interviews, MCL 5 Day Challenge, Blackpool visits, fitness events, mad night out & much more it's one of the nicest feelings to be sat on my sofa with not a care in the world this evening. One, two, three and breathe! "You have the job". That has to be the highlight of my past two weeks, being told I have a new job, as an assistant relationship manager in a new department. I am positively ready for a new challenge & a change & I am looking forward to meeting new people. This is an ideal opportunity for me and I am very lucky to have been offered the job. This is the start of something new, a new chapter in my life. Doing MC&L has made me much more confident in myself and be a happier person. I have more energy, I feel more focused and ready for new challenges and I feel like a new "Fresh Charlotte". So with all that in mind I decided to apply for the job, had an intense interview and found out the day after that I was successful. This was such a surprise to me, however after my weight loss with MC&L, nothing is a surprise as the saying goes "you get out as much as you put in". So it was time to celebrate in style and before anyone laughs we loved it, BLACKPOOL! It was a great weekend. We went camping, had BBQ's, beers (Lee did), we saw a great concert with Peter Kay, Little Mix, West end theatre, Snipers live & the Big Reunion. It was awesome! So with the weekend done and dusted it was back to Monday and with Mrs Jo Ali away presenting at Club La Santa, Lanzarote, it was time to teacher her street dance class as well as doing the MCL 5 Day Challenge, which was a challenge but was excellent. Class was packed and I was so excited to teach but also feeling nervous. Everyone seemed to be having a great time so I was pleased. The FREE 5 Day Challenge really showed how the MC&L family came together and achieved great results and really kicked everybody back into gear. Getting back on it on the clean eating & workouts was just what we all needed. Thank you Jo & Fern for setting that up for us all and a HUGE well done to everyone for their fantastic results. With Mrs Ali's return from Lanzarote it was time to head to Big One North fitness event in Sheffield which was run by Chrysalis Promotions. Again another fantastic day full of dance, step, aerobics, HIIT training, Pilates and much more plus it was a great opportunity to see so many friends. All in all it was a brilliant and active day. Saturday night for me means CHEAT NIGHT... It was finally here so I enjoyed an Italian dinner with Jo & our great friends Sava, Becky and Emma, then it was time to hit the town. Sava and Jo went home as they can’t hack it with us... no they were tired from teaching abroad. After not drinking a large amount for a long time I could only stomach a few drinks and I knew at 3am it was time to go home. So the consequences of the alcohol the following day were: 1, feeling rough, 2, still feeling rough and 3, eating pizza and a sausage sandwich! Hangover food, terrible!!! Monday has rolled around again and before I know it, it's 4 weeks and 3 days until I head to Dubai, YIPEEEEEEEEEEEEEEEEEEEEEEEEEEEEEEEEE. So that is my incentive to get back to eating clean and smashing my HIIT workouts, free weights and cardio. Well I wasn't sure what I was going to write about this week, but I found a picture before I started the detox, and I knew what I wanted to do! This picture was from 18 month ago, in February last year! I decided to put a recent photo next to it, just to compare the difference in my appearance and I along with many others was very shocked and the obvious difference! I just couldn't believe the change in my self. When I was at the size I previously was, I felt that I looked fantastic, I was eating healthy and because I was dancing twice a week, I thought I was fit! Well we all know what thought can do, and it can be very deceiving! So Jo invited myself and my mum along with many others to a seminar she was running regarding this new detox and how it could help you loose weight and gain a good level of fitness! We all laugh now but at the time I was very negative and rude towards the plan! I was a typical young adult that sat throughout the talk with my feet up, thinking I was there just to make numbers up! Well needless to say that day changed my life forever! Until I saw Jo's own photos of her original weight loss I wasn't interested, but I thought for £49 I would give it a go and really just support Jo throughout her new venture and in particular her first group to keep it lively! The thought of salad and vegetables replacing fried chicken or potato skins and water and fruit tea replacing lucozade orange was unbearable but hey it paid off! 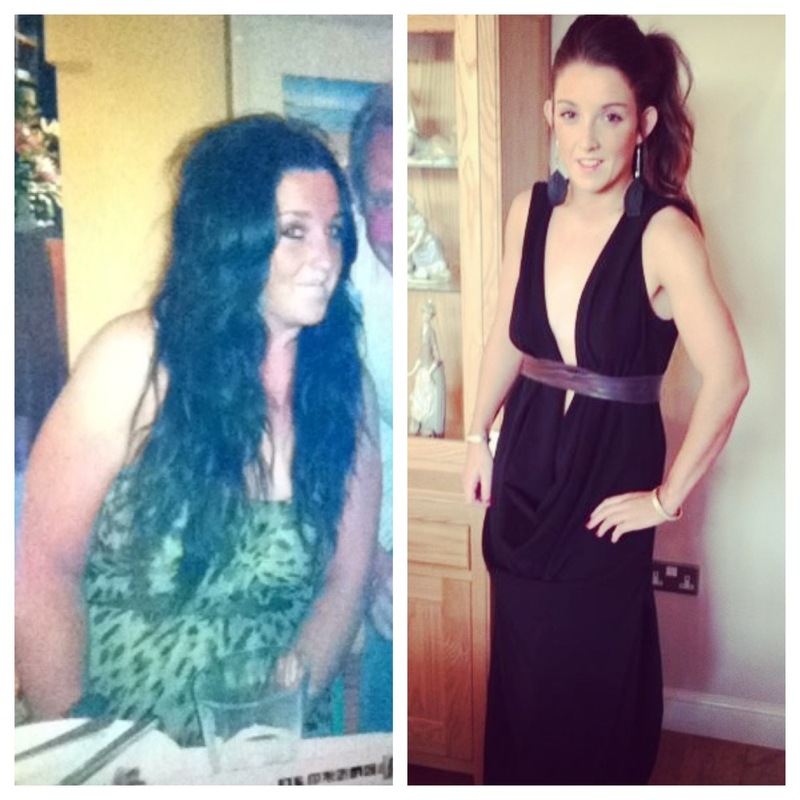 There was so much negativity around me when I was doing the plan with people telling me I wouldn't succeed at it, friends trying to put me off eating healthy and start drinking alcohol but that negativity actually drove me to prove people wrong, and I did! Mission clean and Lean is a part of my everyday busy working life now! I am able to eat clean, get up on a morning and exercise and also enjoy myself partying on a weekend when I can. Not to mention enjoying a nice cheat meal on a weekend without seeing a weight gain! My positive outlook on life has changed also, I am much happier in myself and in my confidence and personality. I feel more driven to succeed with any task in hand as I know I am capable of doing it now! MC&L is one big family! It's not a fad diet where you see a change for a month and go back to where you were it will stay with you forever! It trains your mind on the correct foods you need to eat to gain the best benefits, plus the short cardio & strength workouts you have to do give you a great level of fitness, motivation, stamina and focus to get the results! The mentors and directors of the company Jo Parry & Fern Whittaker are very supportive, they keep you focused energised and are always there to help out! You don't have to go to any classes locally, calorie count or eat processed microwave food that is full of sugar!!! You eat enjoy real food with healthy sized portions allowing you to make food for you or your family. The MC&L community is developed and nurtured in a secret group online where only the other MC&L people that are joining you on there mission can see! I have made so many new friends along my MC&L journey I feel blessed. Jo and Tracey who are my fellow bloggers have become very good friends. The support from fellow members is outstanding and everyone is so positive! Training, talking and giggling amongst like minded people is a wonderful thing, it’s pure goodness for the soul! I hope you take the mission like I did and many others did whatever your intentions are, whether it's weight loss, diet change, fitness increase, the need for glowing skin, a new appearance, a transformation, then join us and become part of the MC&L family! I am a regular person and I have been known to fall on and off the wagon, which I do! I don't live my life not enjoying myself I'm always out for dinner out in town socialising so it doesn't control your life it just becomes your way of life! Look forward to hearing and seeing many more success stories soon and wish you luck if you do take on the challenge! Finding a balance - play hard & train hard! Well another week has passed and I don't have much to say… which for many people is 1) a relief to hear and 2) it doesn't happen very often! So 2nd week of the 21 day detox and unfortunately (sorry to any men reading this) it was TOM, hopefully you ladies will know what I mean by that! For the past two months when it has been this time it has been painful, I have felt stodgy, bloated, run down and lethargic! This was due to not doing my HIIT training so my body wasn’t energised and I wasn't eating the correct food my body needed to be fuelled - this was all due to post-Ibiza blues! This week wasn't too bad for me, I managed to get up, go to the gym obviously eat good food and not feel much different to every day! So it was the day we all live for - FRIDAY!!! I headed into Leeds with some friends and Jo and Fern, we had hired a karaoke booth and spent the night singing our hearts out, I only cheated with alcohol, as much as I wanted some chocolate cake that Jo had made I managed to resist but it was a fantastic night! But boy did I know about it that next day when Jo woke me up and reluctantly dragged me to circuit at 10am! I have to say it did sort my headache out but I did have serious wine sweats! So me and Lee had the afternoon at a charity football match it was back to eating clean and no drink! We headed into Leeds for a friend’s birthday meal where I managed to eat clean and I didn't drink, I made sure I drove so there was no temptation! Last day of the weekend… Doom day Sunday! I chilled out most of the morning then met Lee and played badminton for the afternoon and then we headed out for dinner with my sister and her partner! Such a fantastic weekend and the scales said I had lost another 3lbs Monday morning... Perfect! So 3rd week it is of the detox, back to the exercises and clean eating! My cheat night will be Saturday as me and Miss Parry have a cocktail making night which should be good fun! So I hope everyone has a fantastic week and it’s a 4 day weekend… Whoop Whoop! I have heard it’s going to be an amazing weekend weather wise, so if you over indulge with drink and alcohol and feel like you need to shed a few pounds after or learn how to drink and eat healthy from the BBQ then jump on board the 21 day detox Monday to get that sun blissed figure, check out www.missioncleanlean.com! Speak to you all in a week! So my phrase for the past week - "I'm BACK ON IT" I have used capitals because that is how determined I have been! So back on to the 21 days ready to freshen up my body for my holidays and boy has it happened, 9lbs gone in one week... FANTASTIC! One large change in my body since doing MC&L is my metabolism! I seem to just drop the weight I have gained within a couple of days if I go back to following the programme and doing my workouts, but boy could my body feel it after my workouts ... For a good few days! I feel different again, I feel fresh, energised, motivated and feel much happier in my appearance, my skin also feels and looks much clearer which again makes a big change in how I feel about my appearance! Following the 21 day again so strict 1 year on has really made me realise the great effects it has especially in the work environment. I have a much bigger spring in my step, I'm more focused on each job in hand and just more energised. This is all thanks to the workouts waking me up and the food options giving me so much energy and strength. So it was once again a busy weekend when the MC&L team headed out into Leeds - Our lovely life changing leaders Jo & Fern - the beautiful bride to be - Miss Jo Telfer and the Guru in the Kitchen Miss Evie Brogan and myself! We had a fantastic night together brainstorming and the girls have some brilliant ideas coming too, so WATCH THIS SPACE!! We had a lovely clean meal and I enjoyed a couple of glasses of Rosé which I enjoyed and the following morning Evie made us protein pancakes which were, delicious! So Saturday I ventured over to one of my best friends Becky’s in Manchester to party for her Dads surprise 50th had a couple of Rose's again. It was a fantastic night so it was worth it and I boogied the drinks off on the dance floor! Monday - back to reality! I am back in the zone again with workouts each day and plenty of healthy food's to keep me going and keep me clean & lean! Always remember my motto GO HARD OR GO HOME! 20 minutes out of your day is nothing 20 inches potentially off your body in 21days is something so look at it that way! The next 21day detox starts bank holiday Monday.... Perfect timing for all those who will over indulge I imagine especially on alcohol! Check out www.missioncleanlean.com for more details! So have a great weekend good luck to everyone who is on MC&L which ever programme it is and keep those amazing results going and most of all ENJOY and let it retrain your mind, body and soul! Living for the weekend is quite an understatement in relation to Charlotte's past two weekends, and she's been partying with the best of them! Read her honest account of what she's been up to in her latest blog!